Each shipment of steel that comes through our facility is tested for quality using the highest standards – making our tablet compression tooling the best in the industry. Natoli steel quality control procedures are designed to provide maximum tool life and are regarded as the best in the industry. We don’t stock steel unless it meets the highest quality standards and all Natoli tooling is backed up by a Quality of Steel Certificate which is provided with every tooling order. 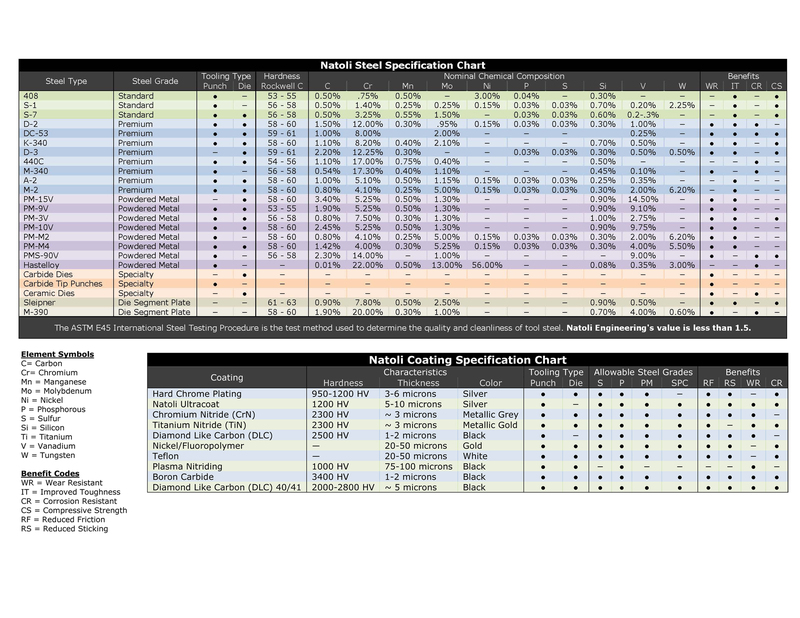 Chemical Composition: Each type of steel has an exact chemical composition standard that must be met. Each component of the chemical composition is verified before acceptance. Batch Quarantine: We quarantine every steel batch away from our manufacturing inventory until after testing is complete. Hardness Testing: Hardness is tested using the Rockwell C scale. At Natoli, we understand steel quality is important, but even more important to batch consistency and hardness is the quality of the heat-treating process. High quality steel can be destroyed with poor quality heat treating. Mediocre steel can be made to perform like a higher quality steel with the proper heat-treating process. 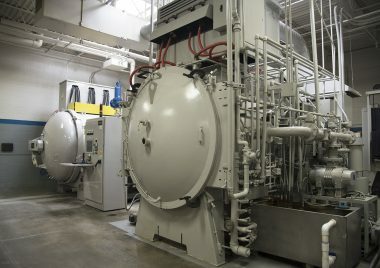 Natoli actually owned and operated a commercial heat treat facility that was used by such companies as General Motors, McDonnell Douglas, Carter Carburetor, and more. Today, we heat treat our tool steel in-house with quality vacuum electric heat-treating furnaces. Our steel quality control procedures are designed to provide maximum tool life and are regarded as the best in the industry. We don’t stock it unless it has the highest quality ingredients, backed up by a quality of steel certificate included in every tooling order. Natoli maintains the largest punch and die steel selection in the tablet compression industry. 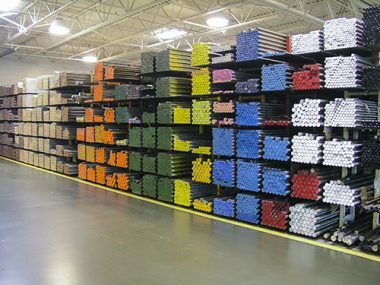 Natoli keeps a one-year supply of more than 16 different grades of tool steel on-site in St. Charles, Missouri. This inventory is strictly maintained to ensure we have the punch and die steel you need on hand and ready to be customized to meet the exact requirements of your products and process. You’ll never have to wait for your steel to be shipped or tested. Standard S1, S7 Punches General-purpose shock steels. Standard 408 Punches Preferred general-purpose steel.Improved flexibility and more elasticity than “S” grade. Premium A2, D3 Dies General-purpose, wear resistant steels. Premium A2, D2 Punches High-carbon, high chrome steels.Great wear resistance with common granulations. Premium 440C Punches Natoli Stainless grade, corrosion resistant. Great for product release. We also provide a variety of special and exotic steels, materials, coatings and treatments to protect tooling against deterioration from abrasive materials. Please view Tool Options to learn more.